Please find below information related to your pre and post operative pathway. Should you have further queries please contact my secretary on +61 (02) 8599-4360+61 (02) 8599-4360. These instructions are also available in PDF format at the bottom of each section. Dr Gandy sees all elective patients prior to consideration for surgery. Emergency patients should consult their general practitioner or local doctor, who will be able to contact Dr Gandy’s team for treatment. All elective patients are seen at his consultation rooms. In general, most consultations will be between 15-45 minutes depending on complexity. It is preferable for all patients to come for consultation with a referral letter, from their general practitioner. Your doctor will be able to provide doctor Gandy with information on your prior health and can arrange any tests required prior to consultation. A referral letter is also required for you to attract the Medicare rebate on your consultation. During your consultation, Dr Gandy will review your current illness and your past medical and surgical history. A medical examination may also be performed and all relevant tests to date will be reviewed. Dr Gandy will discuss all treatments options with you and any companions you bring to your consultation. Every effort will be made to answer any questions you have and to inform you about your illness and treatment. In some circumstances, it may be necessary for specialist’s tests or referral to other specialists prior to treatment. You may also require a second appointment with Dr Gandy for further discussion. 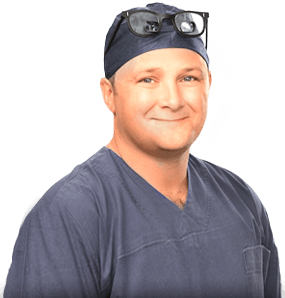 Dr Gandy works alongside with some of Australia’s best surgeons, gastroenterologists, radiologists, anaesthetists, medical and radiation oncologists. During your treatment, you may be required to have specialist tests or treatments performed by one or more of these doctors. Physiotherapist and occupational therapist - help you to get back to normal activities. Dr Gandy can work in collaboration with your local medical team to give advice and assessment, before travelling to Sydney. International or Interstate patients can use our contact us page, as an initial point of contact to discuss your needs or alternatively call +61-2-9398-0200. What to Expect at The Hospital? In most cases, you will be admitted to the hospital on the morning of your operation, unless previously specified by Dr Gandy or his anaesthetic team. An admissions clerk will check your details and admission paperwork is order (they will already have this) From there one of the peri operative nurses will do a final check of details and help you change into a surgical gown. Any valuables will be stored in a secure area and returned to you after your procedure. When the operating room staff are ready you will be taken to the anaesthetic bay or pre-anaesthetic area. You will have time to discuss any outstanding anaesthetic or surgical issues with our team. From there the process of anaesthetic will begin. Prior to your admission to hospital you may need to attend a pre-anaesthetic clinic to assess your fitness for surgery. This may include a heart trace and chest x ray. In most cases, very little preparation is required after all the necessary investigations are completed at your outpatient visits. It is advisable to continue to exercise as possible and keeping weight off will help the surgeons performing your procedure. Preparation for colonoscopy requires the bowel to be cleansed with ‘bowel prep’ Please follow link to Bowel preparation for colonoscopy for specific details. If you have any questions regarding your procedure the best place for this discussion is the consulting rooms. We are happy to arrange repeat appointments or even a second opinion. Minor questions can be dealt with over the telephone or in the anaesthetic bay prior to your procedure. Dr Gandy will call your Next of kin or specified contact after the procedure. The risks of expected adverse effects of surgery or the risks of complications will be discussed prior to surgery. While every effort is made to prevent complications, some patients will experience complications. When a complication occurs, it is important that it is recognised early and that the appropriate steps are taken to reduce the impact. However, further procedures may be required or an extended stay in hospital. Your hospital stay may range from overnight observation in a hospital bed to a period of intensive care monitoring. You will be seen by your doctor, or his team, one or two times daily and will have regular contact with the nursing team. Should there be any concern regarding your condition, your medical team will be contacted immediately. For major surgery, diet will be restarted slowly to avoid vomiting and pressure on sutures where the bowel has been reattached. A hospital stay can be disorientating and frustrating. This may be in some part to the fact that you feel unwell, have some discomfort or are taking strong pain medications. We ask that you help us by working with the medical and nursing staff, physiotherapists and dieticians. The aim of the whole team is to get you feeling better, back on your feet and home, as soon as is safe and appropriate. On your day of discharge, you will be given a discharge letter, highlighting the care you have received and any changes to your medications. You will not be able to drive following surgery and will need to make arrangements to transport you home. In special circumstances or for patients from regional areas the hospital will assist. You will also be given instructions for the removal of stitches or dressings, see our operation specific post-operative instruction sheets. Following discharge, you may need additional support from family or friends. If you have limited support, a social work review can be organised to help in the immediate post-operative period. For some patients, a period of rehabilitation may be required before discharge home. A surgical follow up appointment will be scheduled, usually 2-3 weeks after discharge. Should you experience difficulties please contact Dr Gandy’s consulting rooms during office hours. If you experience severe symptoms you should attend the Prince of Wales Emergency department, who will contact the surgical team. If you experience pain on performing an activity, this is your body telling you that it is not quite ready. Try to avoid painful activities until further healing has occurred. Following gallbladder surgery, it is common to have pain around the incision sites or pain in the shoulder (caused by the gas introduced into your abdomen). It is also uncommon experience some reflux symptoms or some loose-ish bowel motions. Try to avoid large fatty meals for the first few weeks as these may make these symptoms worse. Prior to the procedure you will need to purchase Prepkit C from your local pharmacy, unless otherwise instructed. Prepkit C includes 1 sachet of glycoprep and 2 sachets of Picoprep. The colonoscopy prep tastes bad, cooling it in the fridge it makes it more palatable. The aim of the prep is to produce watery diarrhoea. The success of your examination depends on the bowel being as clear as possible, otherwise the examination may need to be postponed and the preparation repeated. Stop eating meat, brown bread, cereals, fruit or vegetables. Do not eat foods containing seeds. You may eat eggs, cottage cheese, plain yoghurt, white bread, white fish, chicken well cooked and peeled pumpkin or potato. You may have clear jelly, milk and drink plenty of approved clear liquids. Some suggested recipes are included in this Fact Sheet. Approved clear liquids are: water, clear broth/bouillon, clear fruit juices, plain jelly (not red or purple). Black tea or coffee, sports drinks (not red or purple), clear fruit cordials (not red or purple), clear salty fluids (chicken soup), Lucozade. You may have breakfast in accordance with the aforementioned diet and approved clear liquids as needed throughout the day (no milk products after breakfast). Prior to commencing PREPKIT C add entire contents of ONE sachet of PICOPREP in a glass of warm water (approx. 250ml) and stir until dissolved. Place in refrigerator to chill. The second sachet of PICOPREP can then be added to a glass of warm water (approx. 250ml) and stirred until dissolved, and placed in refrigerator to chill. Dilute entire pack of GLYCOPREP-C 70g in a litre of warm water and stir until dissolved. This can be made up in the morning or earlier in afternoon and placed in the refrigerator to chill. First dose - 4pm Drink one glass of PICOPREP mixture slowly but completely. This should be followed by at least two glasses of water or approved clear liquids over the next hour. Second dose - 5pm You should drink a glass of the GLYCOPREP every 15 minutes. Total intake time should take 1 hour in duration. If you start to feel nauseated whilst drinking the preparation, slow down the rate of intake. A drinking straw can often be helpful. Third dose – 6pm You should now drink the second glass of PICOPREP. This should be followed by at least two glasses of water or approved clear liquids over the next hour. You may continue approved clear liquids (no more than 200ml per hour, no milk, soups or jellies) until 5am on the day of your procedure. Arrive at the hospital at the scheduled admission time. As above, but do not eat or drink anything for 6 hours prior to the scheduled admission time. You may have breakfast and lunch in accordance with the aforementioned diet – up until 1pm. During the day, drink as many glasses of the approved clear liquids as needed (no milk products after lunch). First dose - 5 pm Drink one glass of PICOPREP mixture slowly but completely. This should be followed by at least two glasses of water or approved clear liquids over the next hour. Second dose - 7pm You should drink a glass of the GLYCOPREP every 15 minutes. Total intake time should take 1 hour in duration. If you start to feel nauseated whilst drinking the preparation, slow down the rate of intake. A drinking straw can often be helpful. You should now drink the second glass of PICOPREP. This should be followed by at least two glasses of water or approved clear liquids over the next hour. Do not eat or drink anything for 6 hours prior to your scheduled admission time. To ensure the stomach is empty to your procedure, you must not eat or drink within 6 hours of your procedure, unless you have been instructed otherwise by your doctor. You may and drink normally up to 6 hours prior to the procedure. If you are having a morning procedure this means having nothing to eat or drink after 2am on the day of the procedure. For an afternoon gastroscopy, you may eat an early light breakfast (before 7am) and then nothing to eat or drink. Your procedure may be delayed or cancelled if you have eaten or drunk within 6 hours of procedure. What are the side effects of endoscopy? The most common side effect is feeling bloated. Some people have nausea because of the medicines used before the procedure. If this happens to you, your doctor can give you medicine to make the nausea better. Most people can eat as usual after the procedure. Before the test, a doctor will review the procedure with you, including possible complications, and ask you to sign a consent form. An IV line will be inserted in your hand or arm. Your blood pressure, heart rate, and breathing will be monitored during the test. You will be given fluid and medicines through the IV line. With sedation/analgesia provided during the colonoscopy, many people sleep during the test, while others are very relaxed, comfortable, and generally not aware. Your doctor may request an anaesthetist give you an anaesthetic agent (for example, propofol), which is a stronger sedative and will put you to sleep while you are being closely monitored. The colonoscope is a long black flexible tube, approximately the diameter of the index finger. The doctor will gently pump air and sterile water or saline through the scope into the colon to inflate it and allow the doctor to see the entire lining. You might feel bloating or gas cramps as the air opens the colon. Try not to be embarrassed about passing this gas (it is just air), and let your doctor know if you are uncomfortable. You may feel like you have to go to the bathroom, which is a normal feeling during the procedure. During the procedure, the doctor might take a biopsy (small pieces of tissue) or remove polyps. Polyps are growths of tissue that can range in size from the tip of a pen to several inches. Most polyps are benign (not cancerous). However, some polyps can become cancerous if allowed to grow for a long time. Having a polyp removed does not hurt. After the colonoscopy, you will be observed in a recovery area, usually for about 30 to 60 minutes until the effects of the sedative medication wear off. The most common complaint after colonoscopy is a feeling of bloating and gas cramps. You should pass gas and not feel embarrassed doing this either during or after the procedure. This will relieve your feelings of bloating and cramping. You may also feel groggy from the sedation medications. You should not return to work, drive, or drink alcohol that day. Most people can eat normally after the test. Ask your doctor when it is safe to restart aspirin and other blood-thinning medications. Bleeding can occur from biopsies or the removal of polyps, but it is usually minimal and can be controlled. The colonoscope can cause a tear or hole in the colon. This is a serious problem, but it does not happen commonly. It is possible to have side effects from the sedative medicines. Although colonoscopy is the best test to examine the colon, it is possible for even the most skilled doctors to miss or overlook an abnormal area in the colon.